on that thread). Bunch of "whale' bone" chunks. A fun day. 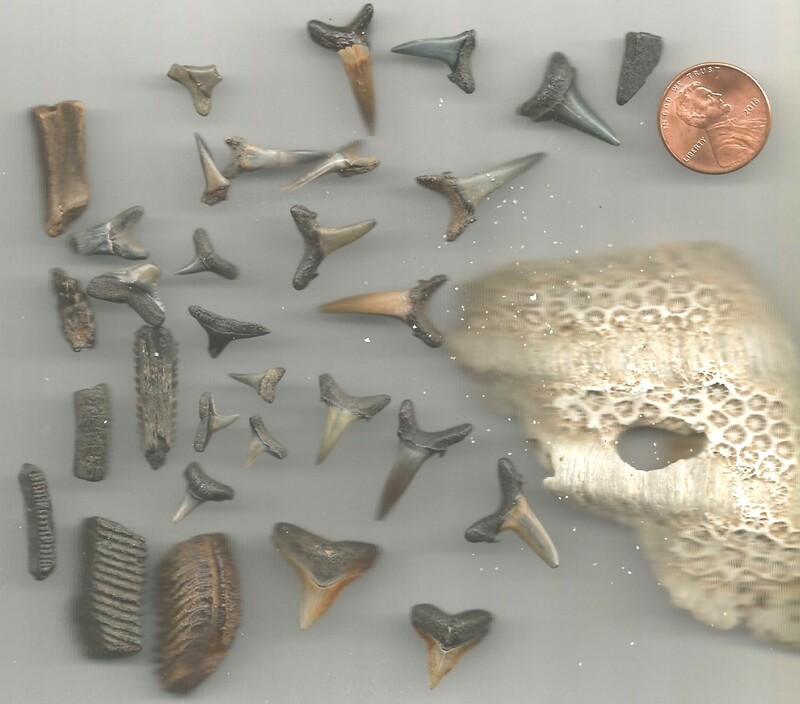 And I think I see a few more mako teeth, mostly lowers I believe. Otherwise sand tiger an reqieum teeth. I also really like the ray tail stinger. Nice coral on the right! Nice! I think the small tooth that is closest to the penny is a barracuda tooth (Sphyraena sp.). Thanks, it is fairly flat with a nice sharp edge. Not something I see a lot of, will keep that in mind in the future!